There are currently 14,568 users on this website. 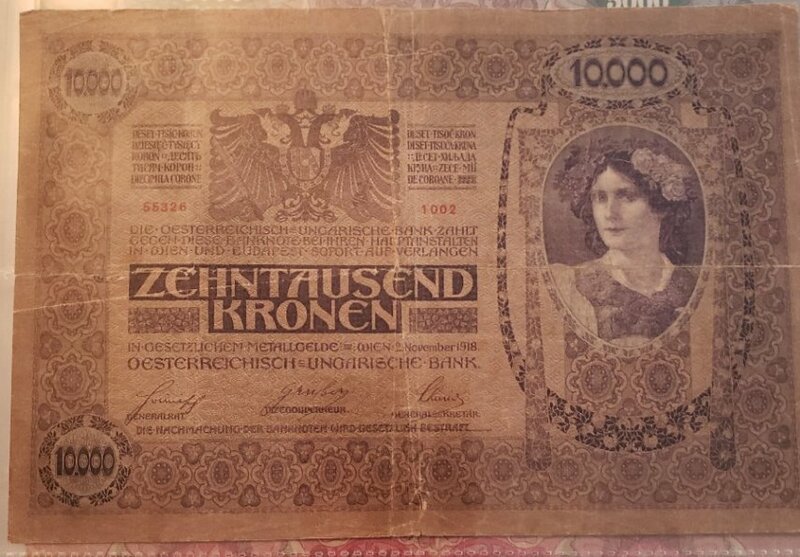 Looking for some assistance on the proper attribution of this 1918 10000 Kronen. What I already know is that it is Austro-Hungarian. Krause catalogs list two distinct attributes. One with the overprint as seen in the photo below and one without it. The later being significantly rarer. 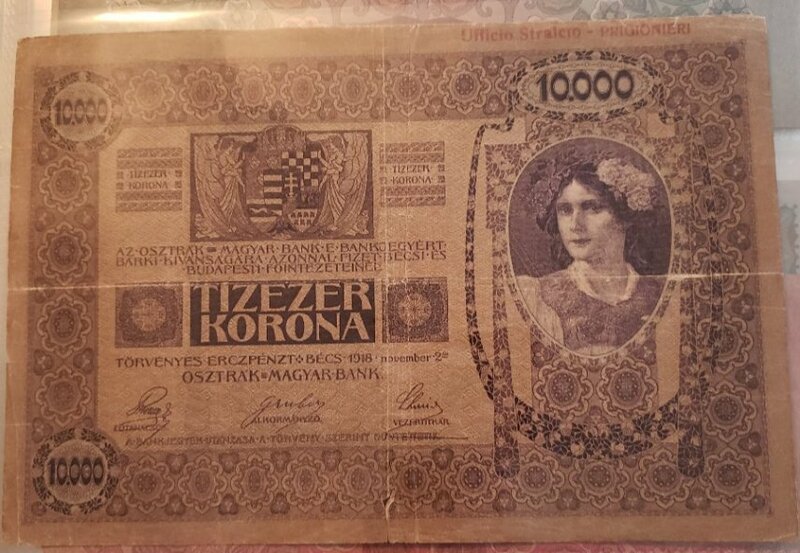 The overprint in my photo is from my 1000 Kronen note as my 10,000 is without it, as seen. I received this from my Grandpa who brought it back from his time in World War Two. What is particularly odd is that it has an Italian overprint on the Hungarian side which reads "Ufficio Stralcio - PRIGIONIERI" that translates to "Bureau Office - Prisoners"
What is this note? A WW1 POW scrip perhaps? Is this the rarer no-overprint variety that the catalogs are referring too? Any help would be most appreciated. Thanks! A picture of the overprint would be interesting. Pertinax both are on the photos. Thanks. I must look at mine again to see if they are overprinted.